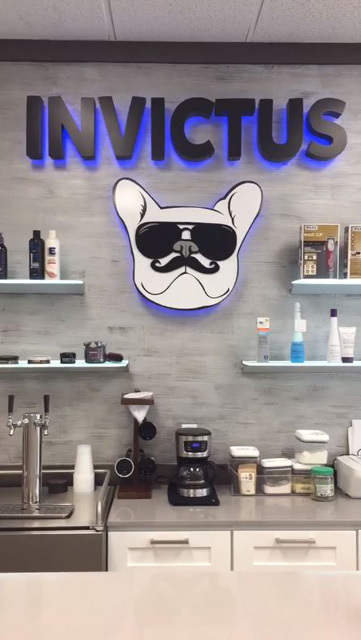 Signarama® recently unveiled a brand new look for Coconut Creek’s Invictus Barber Shop, as part of their Signs for Success contest. Invictus is the 2017 winner of this initiative that awards a Signarama Business Package for new business owners or startups. 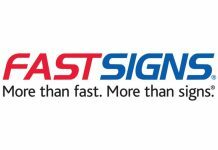 Signarama of Deerfield Beach provided the services for the grand prize package. 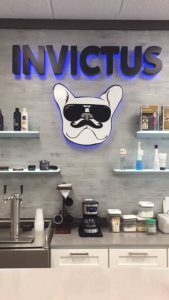 As part of the grand prize package, Invictus worked with our branding experts at Signarama of Deerfield Beach to determine the best way to refresh the look of its in-shop branding. 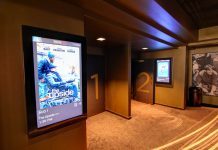 The Signarama team suggested a way to upgrade their interior look and feel and bring the space to a whole new level. They converted a plain painted non-dimensional logo on a wall into a full featured focal point. The new branding brought their logo to life with illuminated signage, including halo, and remote-controlled, color-changing effects. 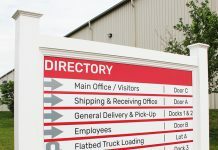 The package included LED-lit signage, aluminum logo and letters, digital graphics, and laser-cut acrylic signs as well as plastic loyalty cards and die-cut decals to help promote their business. Signarama of Deerfield Beach designed and fabricated the new signage and installed the elements at Invictus Barber Shop. The entire refresh was valued at $5,000.